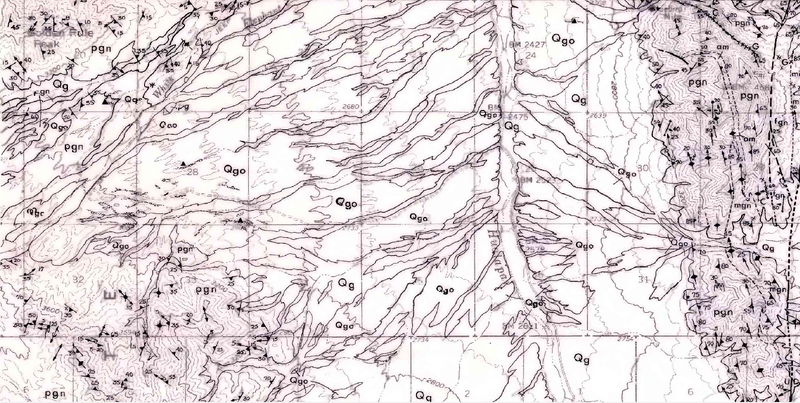 I’ve been promising some resources for gold prospecting outside of Georgia and here is a great map of the Mohave desert placers just north of Dolan Springs. 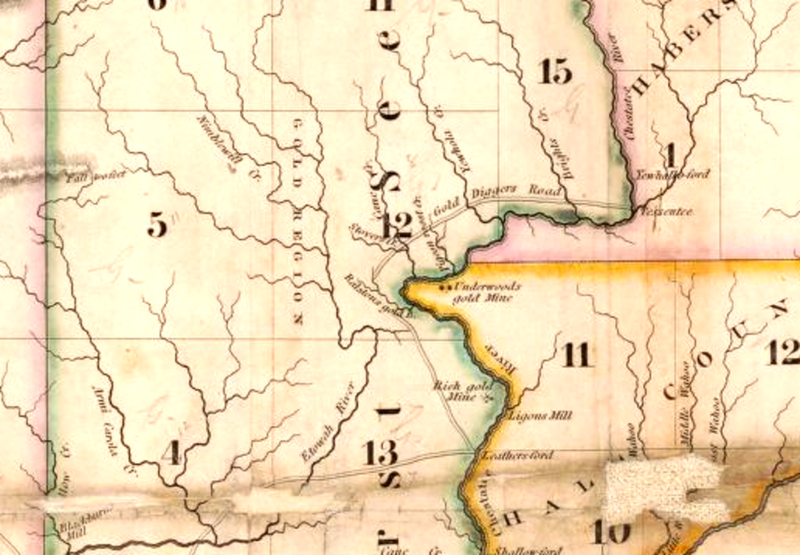 Just take Pearce Ferry Road from Dolan Springs to drive up there. 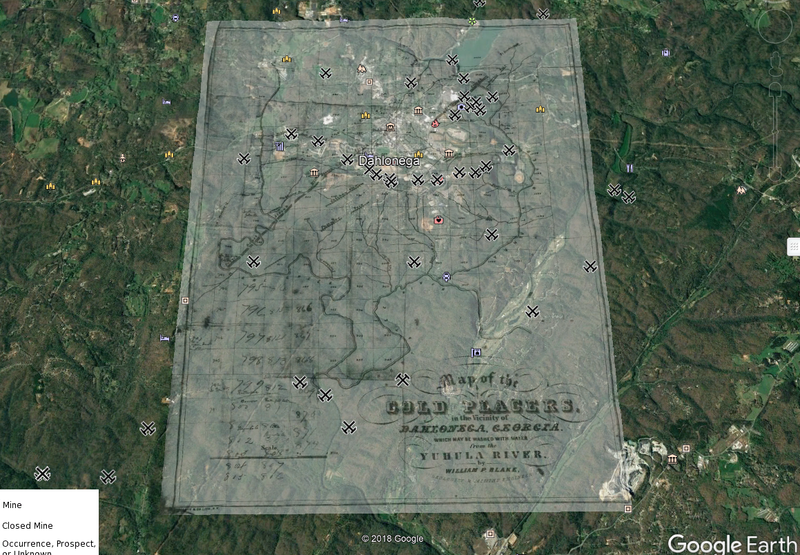 There are GPAA claims in the area and other gold club claims or you can file your own claim too! 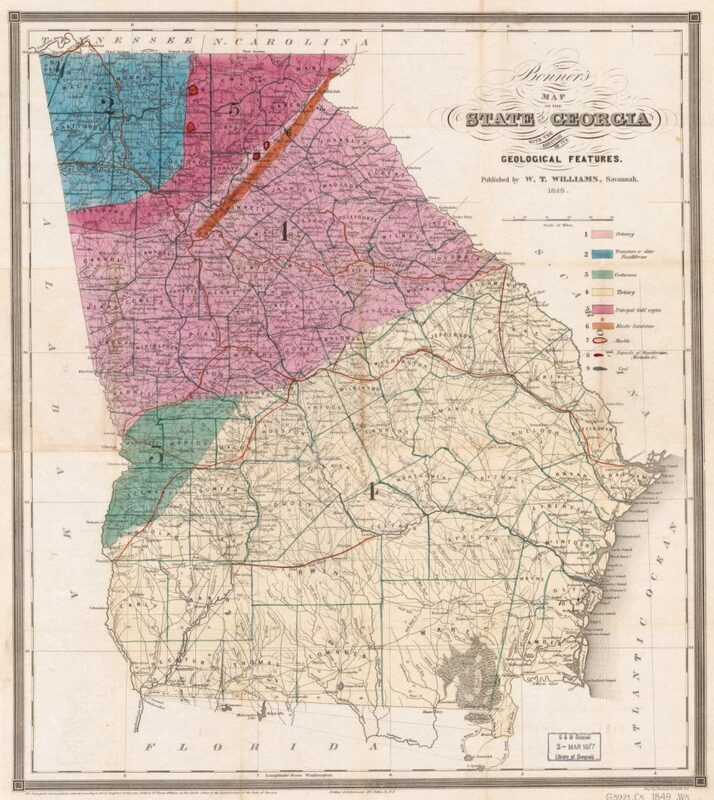 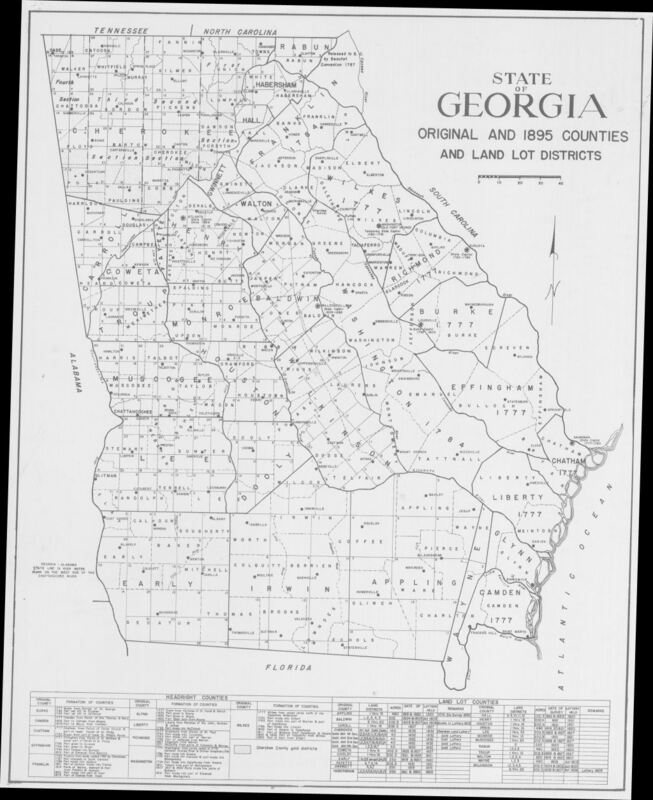 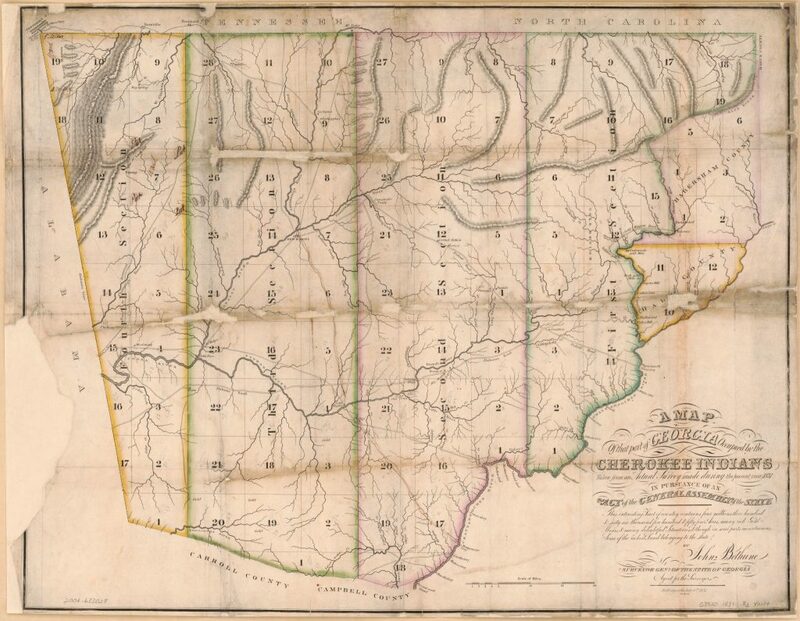 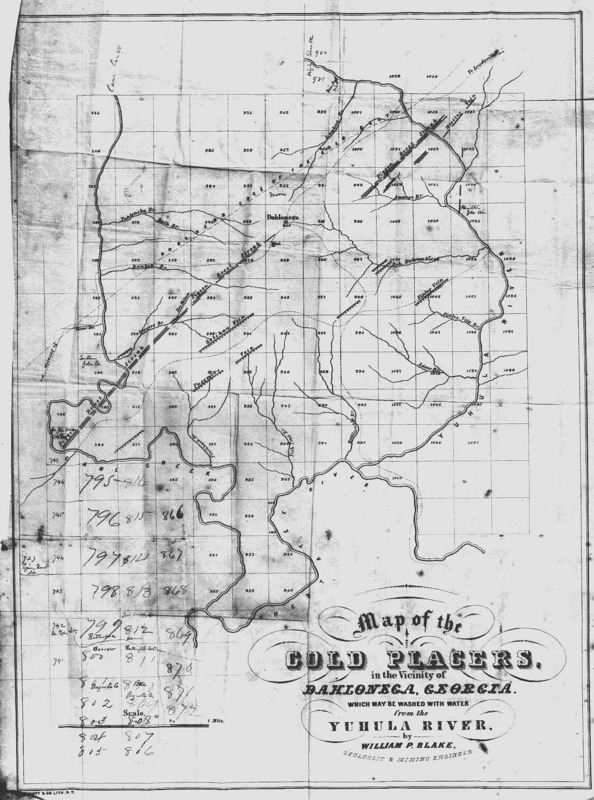 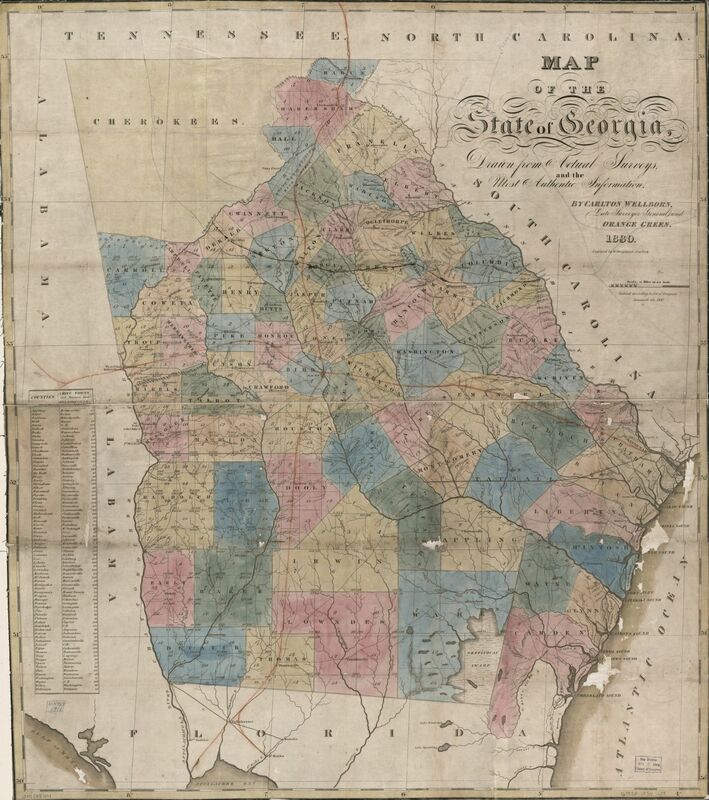 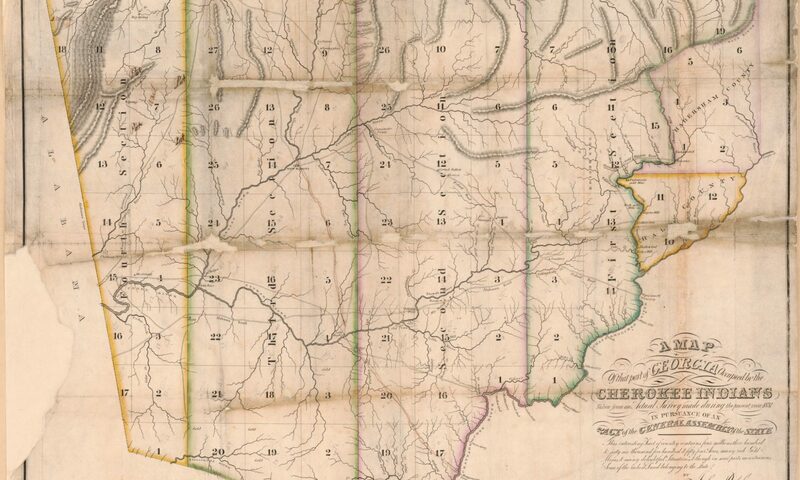 No discussion about gold mining in Dahlonega would be complete without the following 1849 map from William P. Blake (the state geologist in that year).